Enjoy great BBQ while you’re helping keep the Kings River free of poachers! Cal Trout’s Shasta Springs Trout Camp is located on 40 acres in the famed Upper Sacramento River Canyon; nestled along a remote, lightly fished stretch of the river between Dunsmuir and Cantara Loop. The Camp is comfortably equipped with three sleeping cabins (two per cabin, sleeping bags required), outdoor kitchen, outdoor shower, and fire pit. Cal Trout host and guide, Craig Ballenger, will prepare all your meals and guide your party. All food and non-alcoholic beverages will be provided. The camp can accommodate up to six guests. This trip, for three days and two nights, must be scheduled Monday through Thursday. The camp typically opens in May and runs through the end of October. Other raffle items from Simms, Sage and Orvis and more! For additional information about the December 2nd event, or any Kings River Conservancy programs, visit our website at www.kingsriverconservancy.org or call the Conservancy office at 559-787-9500. Kings River Conservancy modeled this fundraising BBQ after a successful program implemented on the Kern River in 1995 to stop trout poaching. KRC named it in memory of the Honorable Franklin P. Jones who loved fly fishing and the great outdoors. 100% of the proceeds from this dedicated funding stream are forwarded to the California Department of Fish and Wildlife. Donations to the program go to fund extra warden patrols on the Kings River to help reduce the trout poaching pressure. To date the program has raised over $80,000. 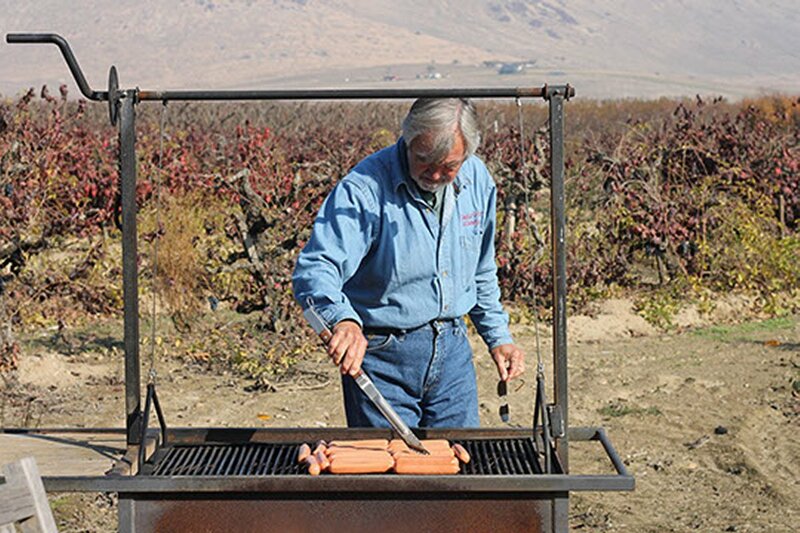 Come have some great BBQ with Fresno Fly Fishers for Conservation and the Kings River Conservancy and enjoy a beautiful autumn day while you support the Conservancy and the Frank Jones Memorial Warden Patrol Fund!